More rain today. I am wondering how wet winter will be. Are we getting all our moisture now or will we have lots of snow too. Could be interesting. My image today I captured this past Sunday. 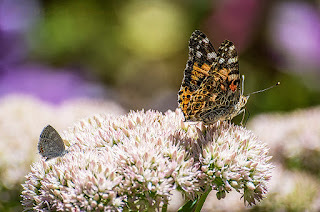 My Sedum is beginning to bloom and is proving to be a magnet for bees and butterflies again which is great. It's nice to see butterflies around finally. 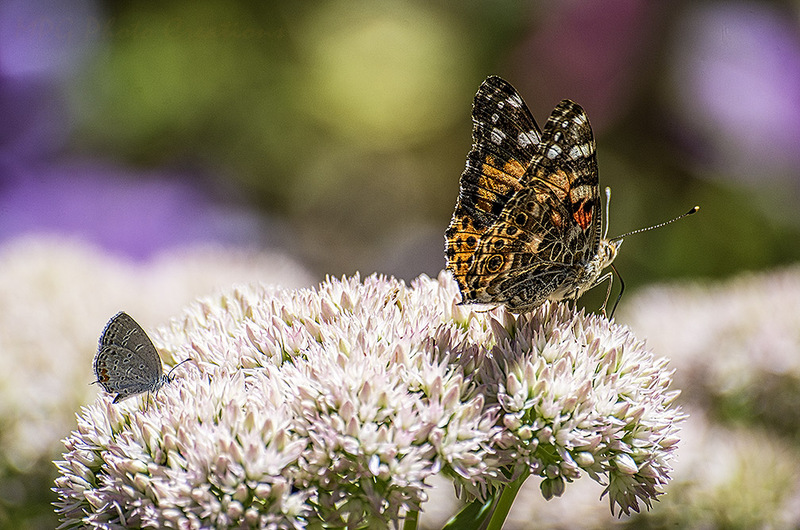 I captured these two at once, a Cotton Square Borer which is pretty tiny and a Painted Lady enjoying the blooms. I love the colorful bokeh created by some out of focus flowers.